Republic of Booza is the world’s first modern booza brand. Booza is The Original Ice Cream™—the first frozen dairy-based dessert from which the ice creams we know today evolved. It was developed alongside the technology for freezing dairy, 500 years ago in the Levant region of the Eastern Mediterranean. Booza distinguishes itself from other ice creams by a soft elasticity that makes it smoother, denser, and creamier. Because of this density, booza packs more flavor per scoop than any other form of ice cream. It also melts more slowly, allowing it to be served at a temperature that brings out full intensity and complexity of flavor. This unique consistency results from two ancient, hyper-local ingredients and a distinct production process. Sahlab (ground orchid root) and mastic (a resin) are traditionally added with milk, cream, and sugar to a freezer drum. Instead of being churned, the mixture is then alternately pounded with a three-foot-long wooden pestle and stretched by hand, activating the ingredients and working out all the air to achieve booza’s signature creamy elastic consistency. Historically, booza has only been available in one traditional flavor, known as Qashta or ‘Candied Cream.’ As the world's first modern booza brand, Republic of Booza taps into its full potential as a vehicle for flavor, recreating the authentic product in a variety of Classic, Global, and Experimental flavor offerings. 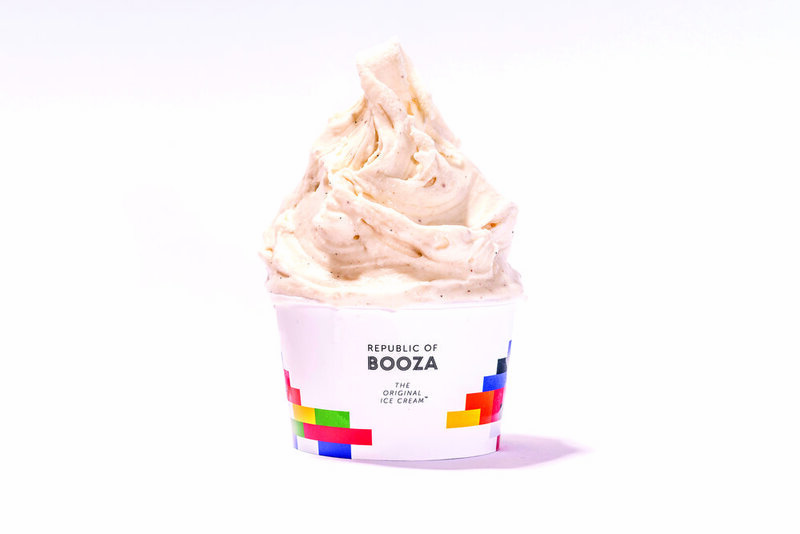 Republic of Booza is rediscovering the roots of ice cream with the first booza scoop-shop in the US, and it’s bringing them into the twenty-first century with the first modern rendition of The Original Ice Cream™ anywhere in the world.